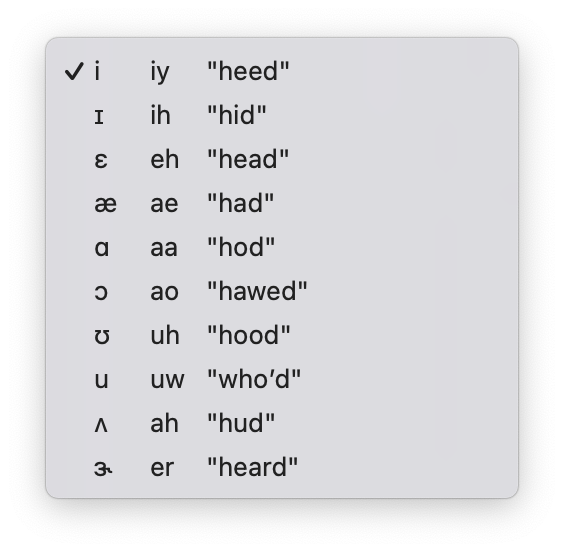 Generates vowel‑like Sounds from the input values or by selecting from a list of preset vowels. The list of vowels and their average frequency values have been extracted from the formant table Peterson & Barney 1952. 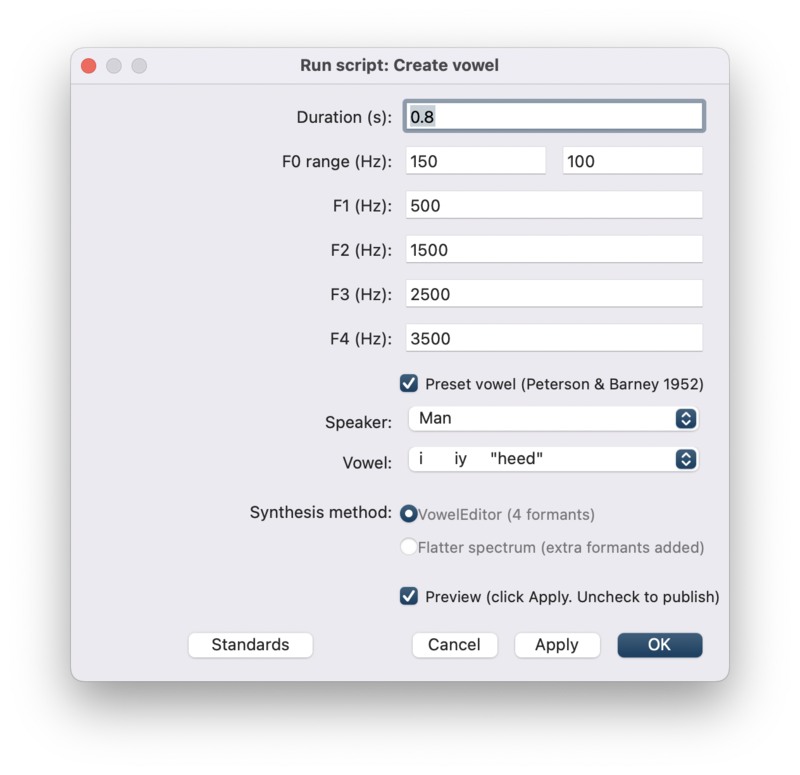 VowelEditor: based on Praat's Vowel Editor, it has been developed by exploring the file VowelEditor.cpp of the Praat source code. Flatter spectrum: based on the script by Ton Wempe and Paul Boersma "Appendix K - Vowel generator" included in Rauber, A. (2006). Perception and production of english vowels by brazilian efl speakers.